One of the funny mysteries that we encounter when discussing the value of fresh ingredients that are typical of the Italian vegetable realm is that ordinary vegetable that we consider quite normal in our daily staple take on a diverse new aspect when they undergo the tentacles of advertising firms and marketing geniuses. Take into consideration Kale which here in Italy is called Cavolo Nero. A simple vegetable that has strong presence of anti-oxidants such as Quercetin and Kaempferol which are considered a perfect addition to our bodies towards the battle against aging and that ever-present enemy called Cancer. 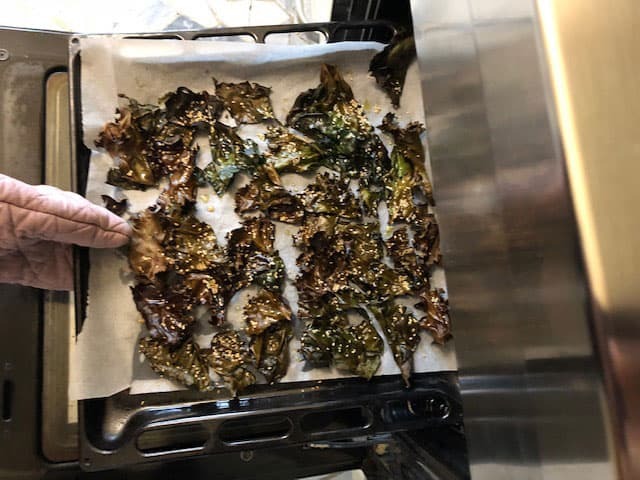 Rich in vitamins and minerals we tend to use it in our household for wonderful Winter soups but today we will propose a simple recipe (passed on by our dear friend Chiara Costa) which we call Kale Chips. 1. 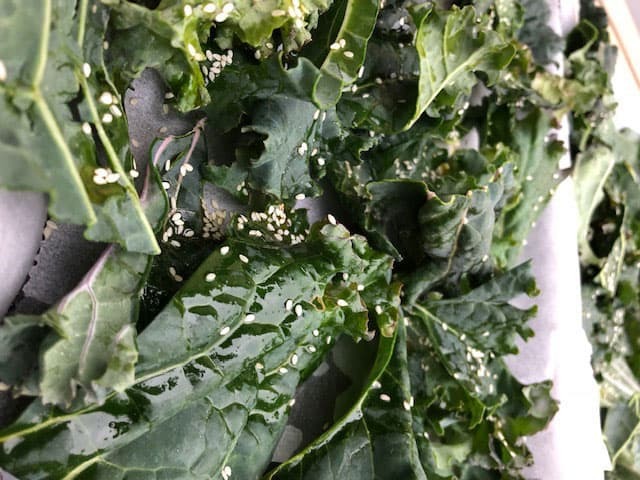 Take the Kale leaves and clean them in water several times, get rid of the middle stems. 2. 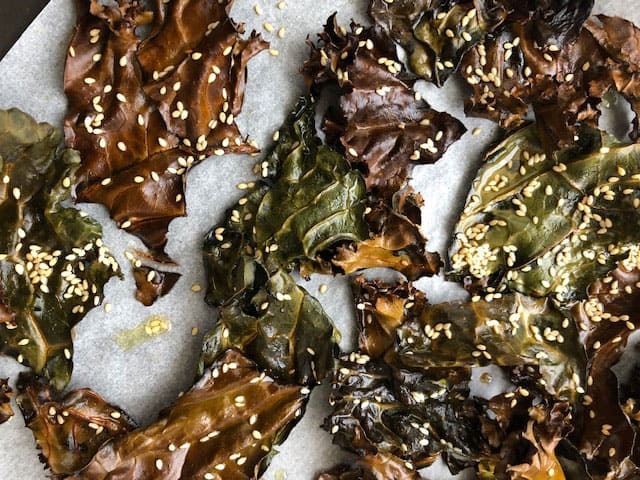 Cut the leaves into one-inch x one-inch squares trying to keep bite size regular proportions between them and dry them in a Salad dryer. 3. Place the dried leaves on a paper wax ready oven tray spreading them out evenly. First, sprinkle the olive oil and then the sesame seeds in a uniform manner. 4. 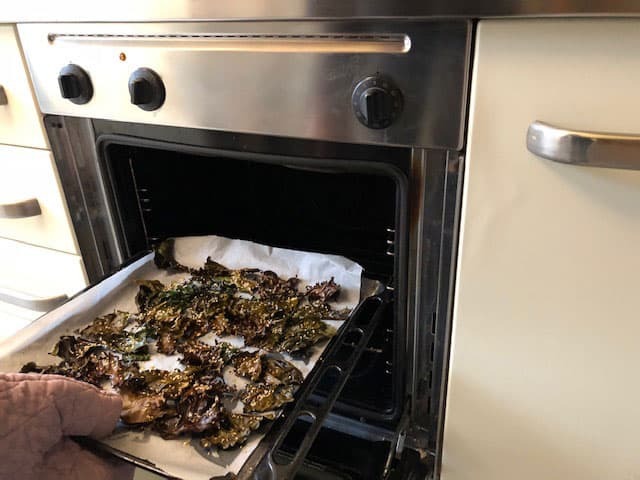 Put the tray in the oven at a temperature of 170° Centigrades for around 20 minutes always making sure that the leaves have a slight roast but not burnt. If they are not crispy yet cook them for an additional 5 minutes. Take out of the oven, let them cool, sprinkle the salt evenly and serve. 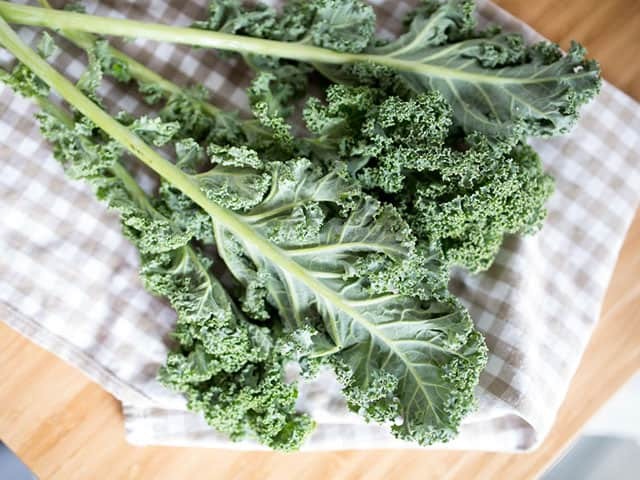 An appetizing variation on Kale that will have folks happy since they are quite tasty and at the same time healthy!